Has Crowdsourcing Gone Too Far? – StratGo Marketing. Plug-in marketing department services. It’s part of a business and brand overhaul initiated by new owner John Hughes, who purchased the Double-A Binghamton Mets (affiliated with the New York Mets) in December 2015. The team had been owned by a local group for 24 years. Sounding like a new brand manager eager to take the marketing reins, Hughes announced a number of changes before the season started: renovated team store, new concessions, kids zone and party deck, playing field improvements and new promotions. The part about changing the name, though, has been controversial. Those two criteria set a high bar of expectations. Last month, after reviewing 1,500 submissions, the team announced a Final Six list of names. Each one is connected to the local geographic area and heritage. As you read the list, keep in mind the context. Minor league baseball teams are known for zany names. Public voting then took place for about two weeks. It’s not clear if the top vote-getter wins or if the team applies a management override. An external agency, Brandiose, is helping the club, although their specific role is unknown. The team will declare the winning name in October, after the season ends. The reaction has ranged from anger to humor, especially about the “Stud Muffins” possibility. Give the team credit, though. They are all in, as evidenced by this tweet. Look, if attendance is lagging or approaching unacceptable levels from a business standpoint, the team has every right, and even obligation, to explore and implement remedies. The non-name changes Hughes announced are smart marketing. But getting the name (brand) right is job number one. Was a new name necessary or a good springboard into a baseball team brand revitalization? Hopefully, the club did its homework and positioned itself to make a good strategic decision. If a new name was deemed a solid marketing opportunity, was a highly publicized contest the right way to go? Remember, the idea is to increase support, not lessen it. Sometimes the line between smart marketing and opportunistic promotion and publicity gets blurred. Or, the “opportunistic” really is dangerous and can backfire. In this case, it feels like the team went too far. Collecting fan and public input is fine. They would have been better served to skip the contest and Final Six voting, and announce a decision when ready. 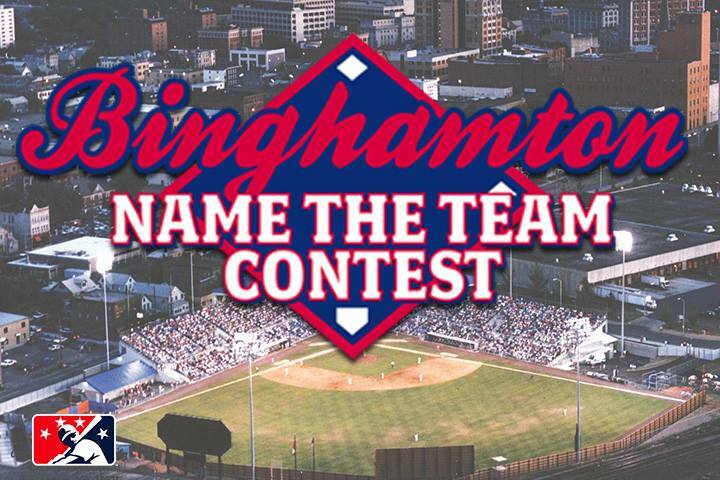 Regardless, the votes are in, and now baseball fans in Binghamton have four months to percolate on the outcome. Criticism comes no matter what, and faster than ever with today’s communication technologies. What hasn’t changed is that part of marketing management is the responsibility to make the tough call.